Quartz glass tubes are manufactured using hot-forming technology or gas flame method. The quartz tube is used in metallurgy and industry as an integral part of complex equipment. The material has exceptional properties, due to which the product is widely used in various branches of modern production. A wide range of quartz tubes for apparatus, equipment and devices for special purposes, products of the chemical industry and wide consumption is offered by the company “JV QUARTZ”. In accordance with GOST*, quartz pipes are produced only from high-quality technical transparent glass. *GOST – State standard (for Russia). You can order pipes with a diameter of 5 to 300 mm and a length of up to 2000 mm. Buy quartz tubes can be used to equip boiler equipment, products for metal casting, electric heaters, lighting equipment, equipment, which is used in the chemical and semiconductor industry. For rigging boiler equipment as for products for metal casting, electric heaters, light technology, equipment, which is used in the chemical and semiconductor industry can buy quartz tubes. TKGDA (ТКГДА) – diameter of produced pipes is 5-300 mm. They are used for obtaining especially pure substances, reagents mechanism, and devices for special purposes, for light sources, for electronic devices. TKGDB, TKGOB, TKGOA (ТКГДБ, ТКГОБ, ТКГОА)– the diameter of the produced pipes is 5-300 mm. They are used for light sources, electronic devices. TKEOA, TKEOB (ТКЭОА, ТКЭОБ) – produced pipes diameter is 5-40 mm. They are used for light sources, electronic devices. TK (ТК) – produced pipes diameter is 5-300 mm. They are used for the manufacturing products of the chemical industry and consumer goods. 1. 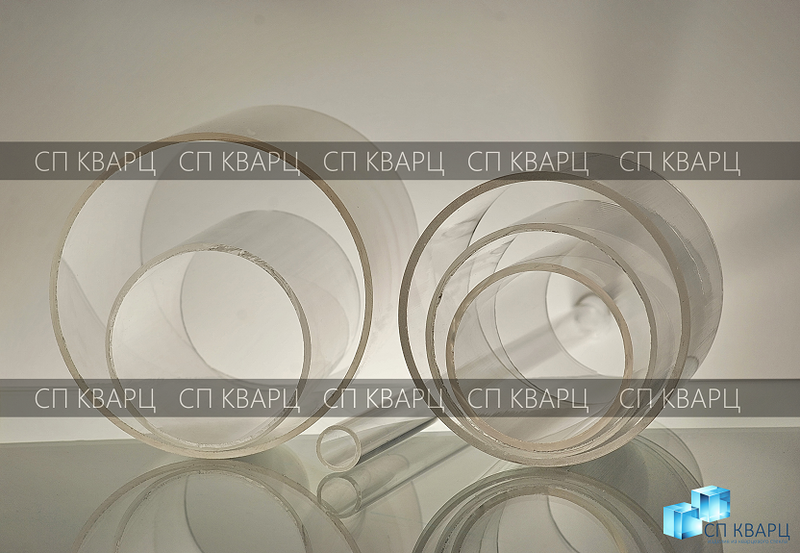 Pipes of TK type are made of transparent quartz glass with non-standardized quality indicators for bubbles and inclusions, if necessary, parameters can be specified when ordering. Other kinds of pipes are higher quality. If necessary, additional qualitative characteristics and minor defects are discussed with the customer when ordering. 2.Pipes resistant to crystallization. When the tubes are held at a temperature of 1000 ± 10 ° C for 2 hours and after cooling them on air, there should be no traces of crystallization on the pipes surface. with subsequent cooling in flowing drinking water should not give cracks, patches, chipping, chips after 15 heat changes. 4. Pipes that are resistant to darkening.